We didn't say the "W" word but, well, it is coming. Fall weather is finally here and cooler weather means that a whole new set of attire — the cozy kind, some our favourite pieces! And what goes better with light jackets and woolly sweaters than a tuque? No, really. Major fashion houses like Marc Jacobs, Versace and Hermes all showed versions of the simple head warmer on runways. It's time to take up the trend while staying warm 'to boot'. 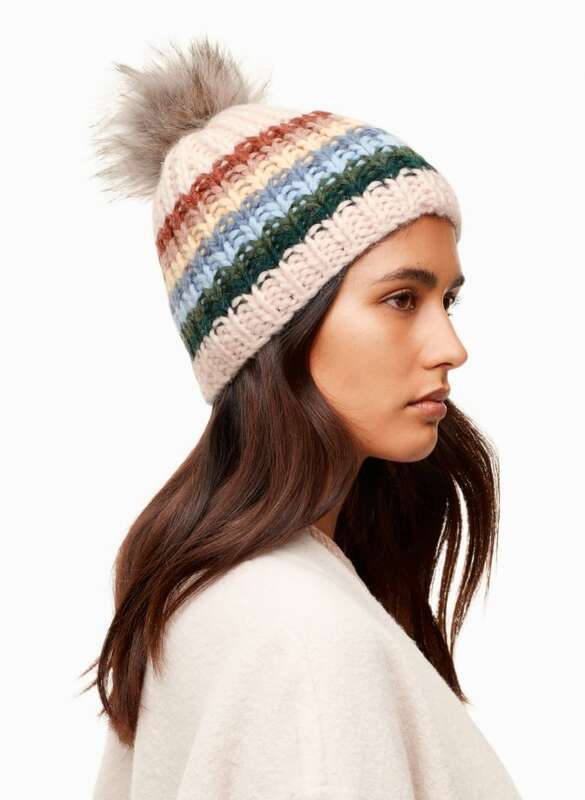 This tuque features a fun pom pom and colourful stripes, but its cream base means it can be worn with just about any shade of sweater or coat. 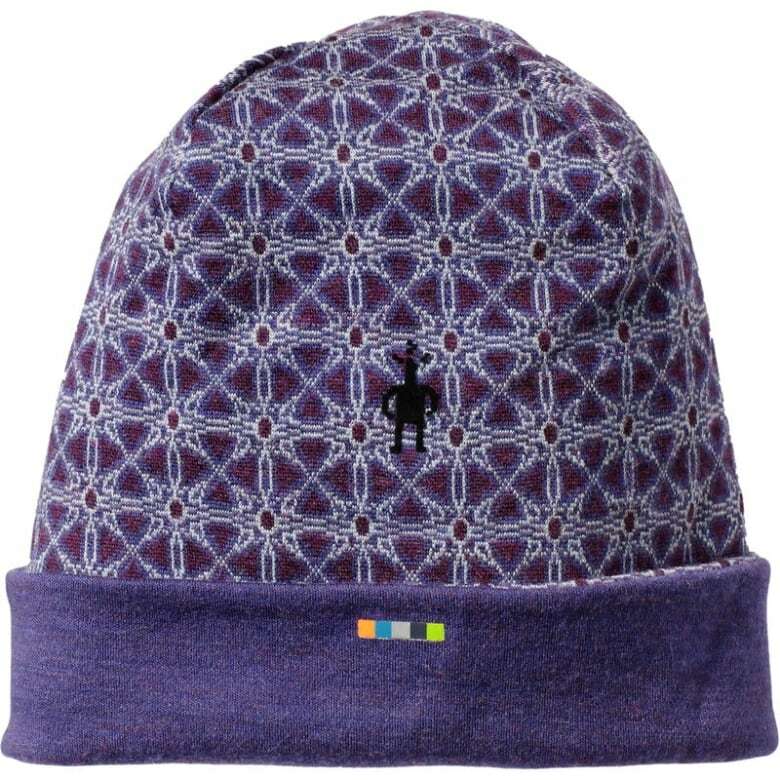 Called "the world's best tuque," this hat was created by a small design studio in Toronto. 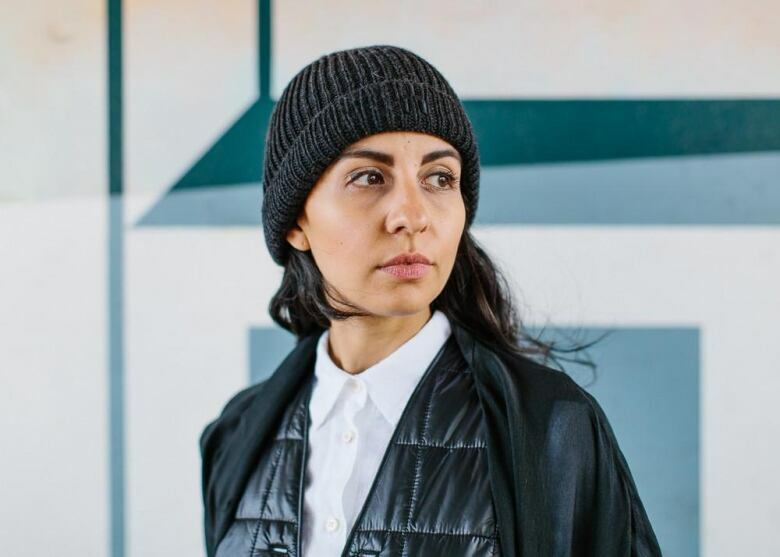 It's made from a blend of merino wool, cashmere and qivit (sustainable wool hand brushed from Canadian muskox), plus the design is based on 18 months of research into what makes a great tuque! 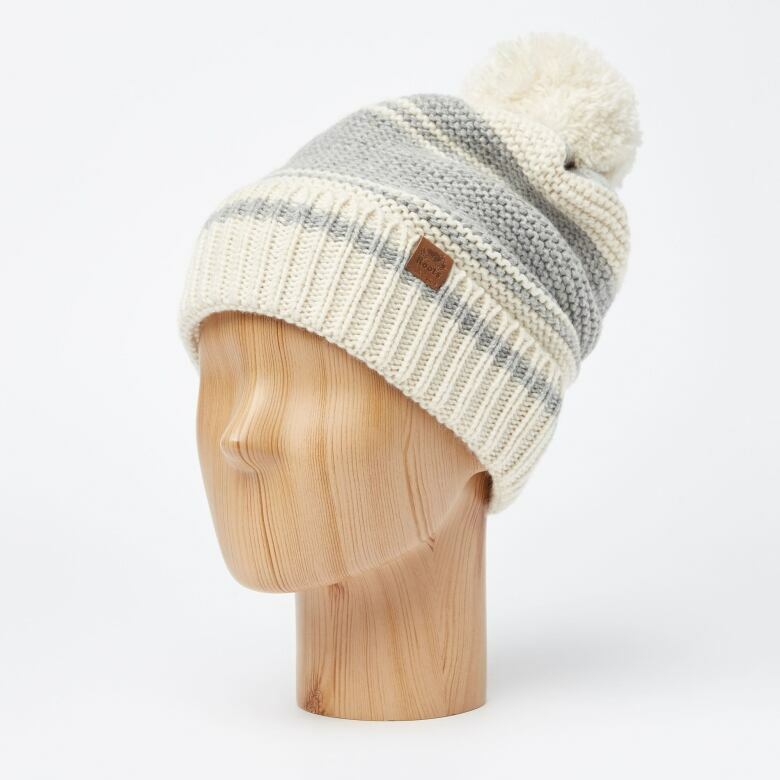 The cream and grey palette of this pretty tuque looks both wintry and modern. It will look just as great with a leather jacket on the way to work, as it will on the ice rink. 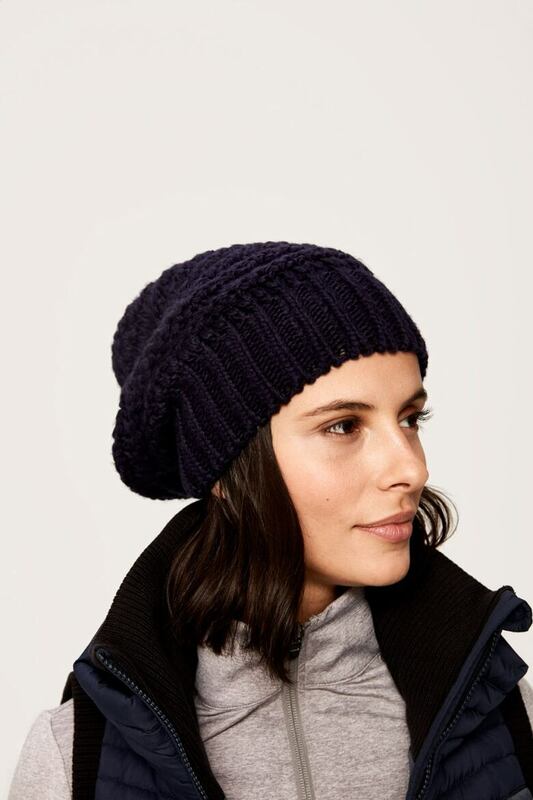 This simple tuque in soft 100 per cent merino wool will feel as good on as it looks. It comes in light brown, silver and black, but this pink feels so fresh. What's softer than merino? Cashmere. And where else can you get a cashmere hat for less than $50? In a range of neutrals and for $35, you might want to splurge for a couple. 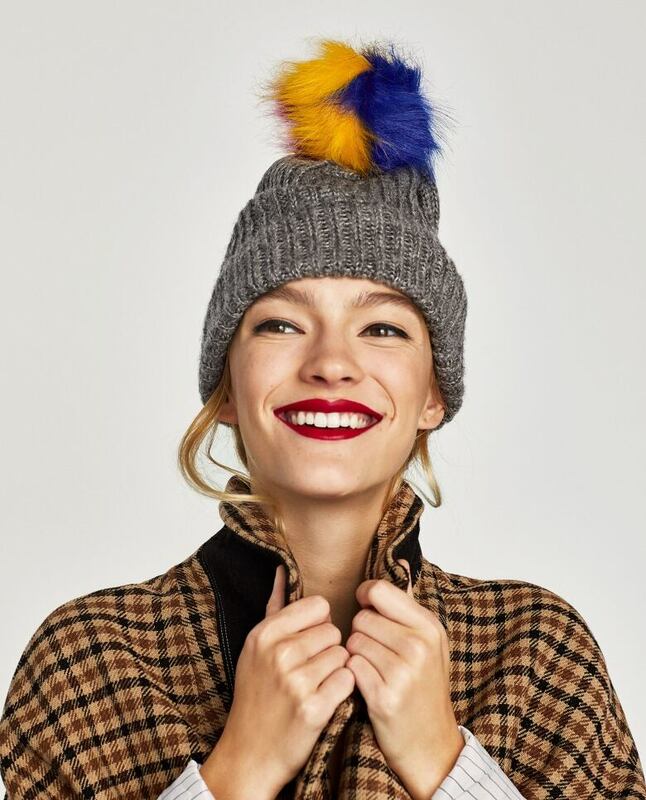 This grey hat combines the tuque trend with fall's colourful faux fur trend. It'll add some fun to a serious fall coat or continue the party if your fall coat is already vibrant and fluffy. Made for exercising, this hat features moisture-wicking merino wool and is reversible so it's like two hats in one. 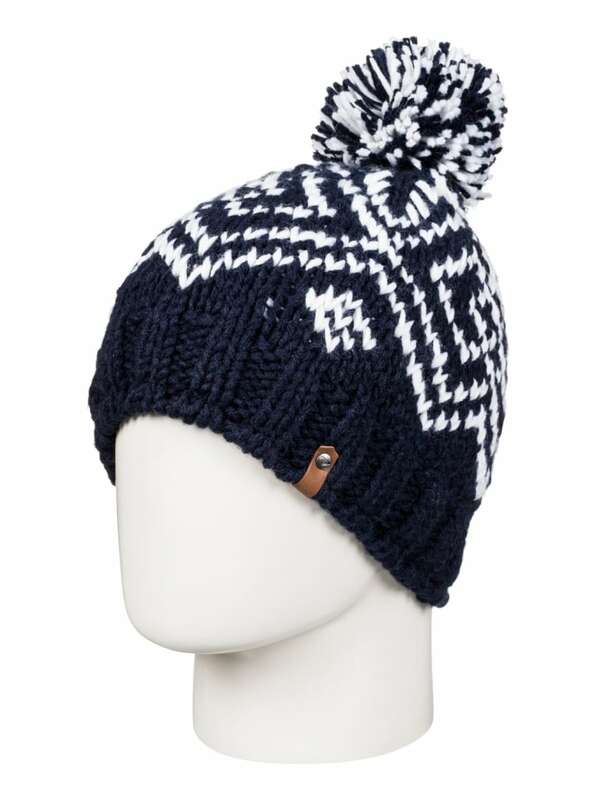 This tuque is like your favourite cozy sweater, but better. 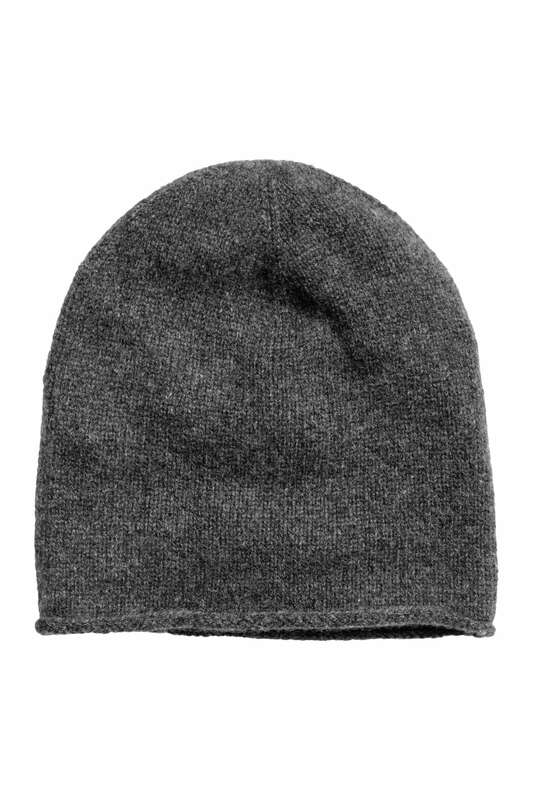 A polar fleece-lined band means that ears stay warm and your forehead's never itchy. 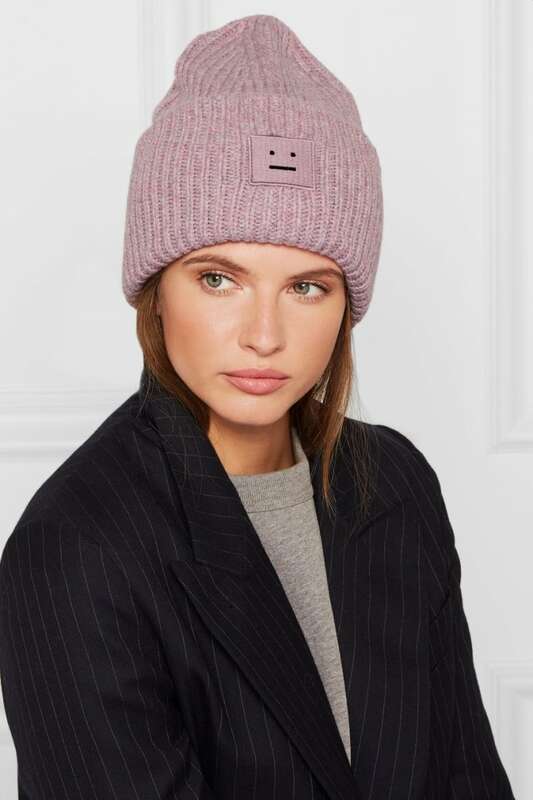 Featuring the emoji for those who don't wear their heart on the sleeve, this topper comes in three colours and has a generous, thick knit that looks very on-trend. Fall activewear to keep you dry, warm, safe — and fashionable! 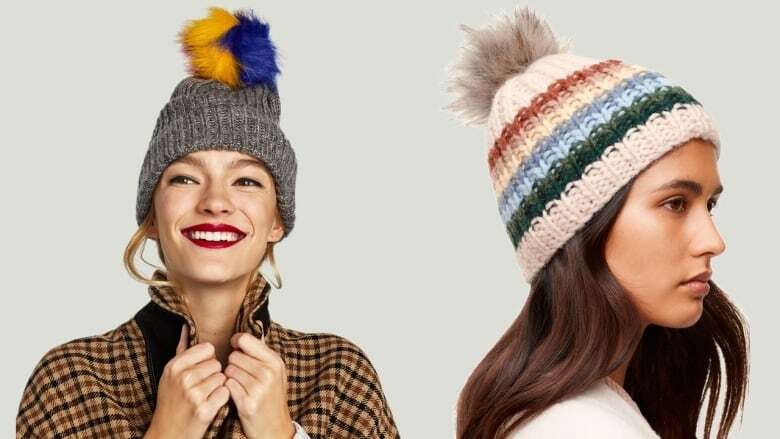 Need a little tinsel with your tuque? 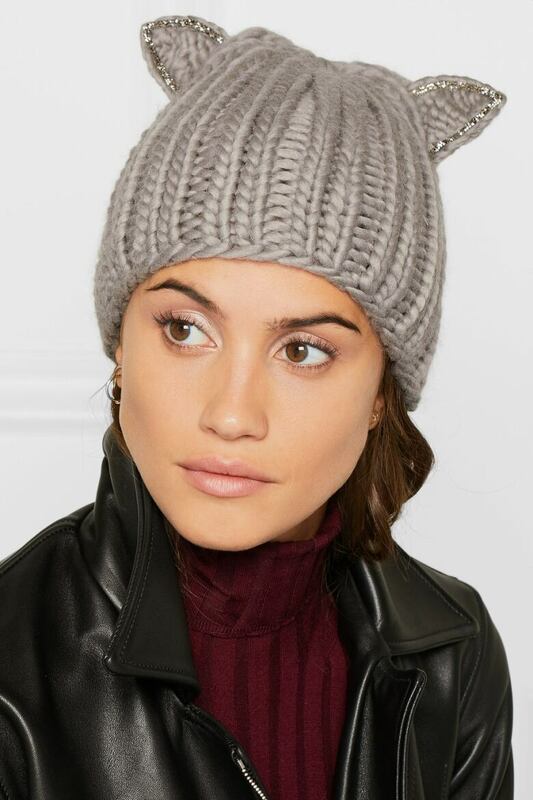 This hat has crystal-embellished cat ears in soft grey wool. 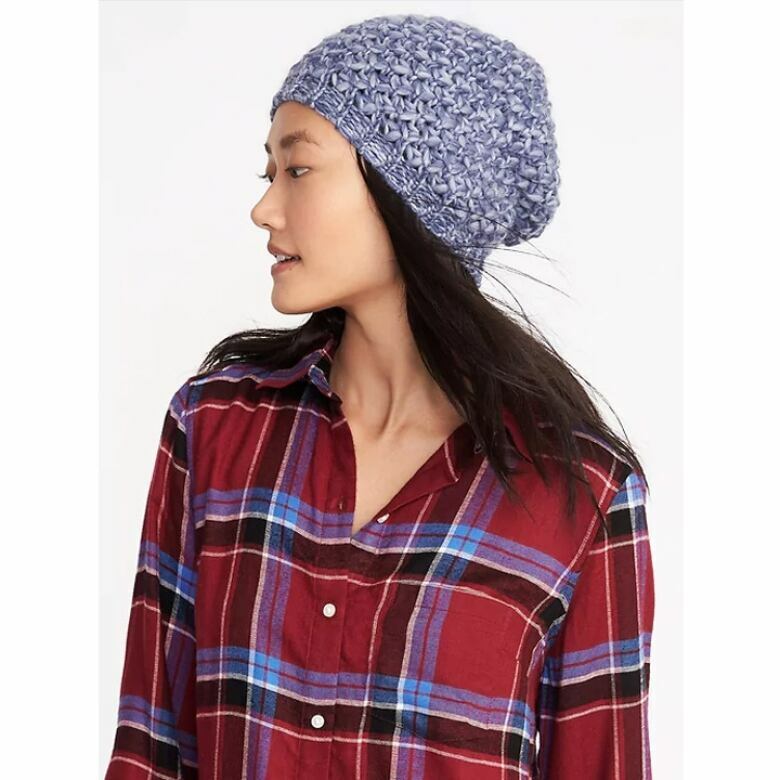 This loose-knit hat has ample room for lots of hair and its slouchy silhouette has a trendy grunge feel that looks perfect with plaid. Another slouchy option, this chunky waffle knit in deep blue will look good with casual wear but could easily be dressed up for a night out. A pair of sparkly earrings and a little silk are all you need. The luxe tuque is very '90s and very now in crushed velvet. Don't treat it like a costume piece; wear this hat just like you would your basic tuque and update any ensemble. Addicted to nautical stripes? 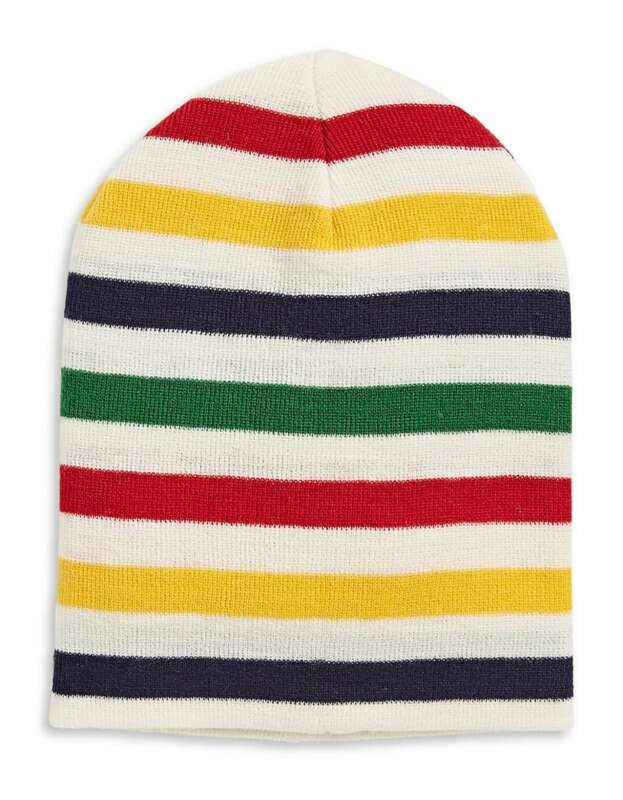 Get a tuque to match your favourite tees. 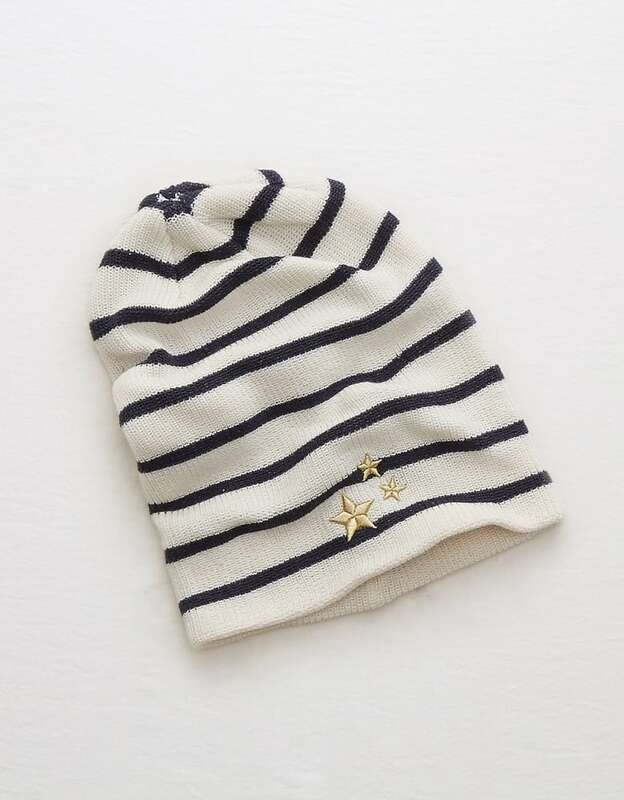 Wear this hat with your peacoat and jeans for the perfect sailor-inspired fall look.